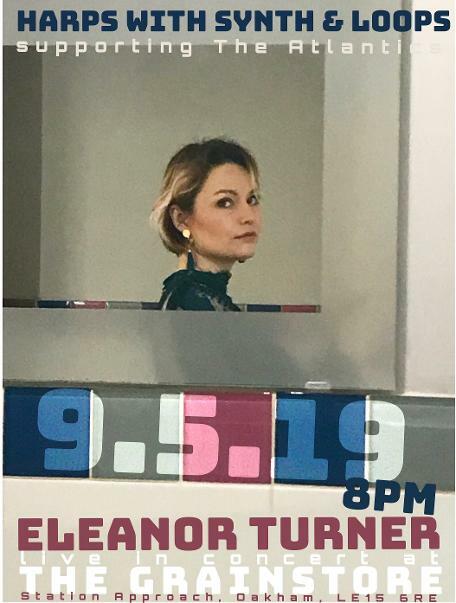 Eleanor Turner is a harpist and composer who creates unique shows for herself and her ensemble to perform worldwide. She is a member of contemporary folk band Ranagri and Head of Harp at the Royal Birmingham Conservatoire. Follow Eleanor on twitter, instagram and facebook for news, pictures and videos. Thursday 9th May 8pm Eleanor is supporting The Atlantics at The Grainstore, Oakham. Music will include Meditation by Ayanna Witter-Johnson, original compositions for electro harp and covers of music by Seal, Bjork, Radiohead, Sandy Denny and others.